Keep your New Year’s resolution to add more art to your life! The Sugarloaf Crafts Festival returns to the Metro DC area beginning March 23rd at the Dulles Expo Center in Chantilly, Va. Join us for an unforgettable weekend at one of the top craft shows in the United States. More than 250 independent artisans from the local and national artistic communities will be on hand to inspire with their handmade creations and designs. Sugarloaf Craft Festivals are known for bringing artists and craftspeople face-to-face with collectors and enthusiasts. Each exhibitor can be found on the festival floor talking about their craft, telling stories and offering advice to aspiring artists. 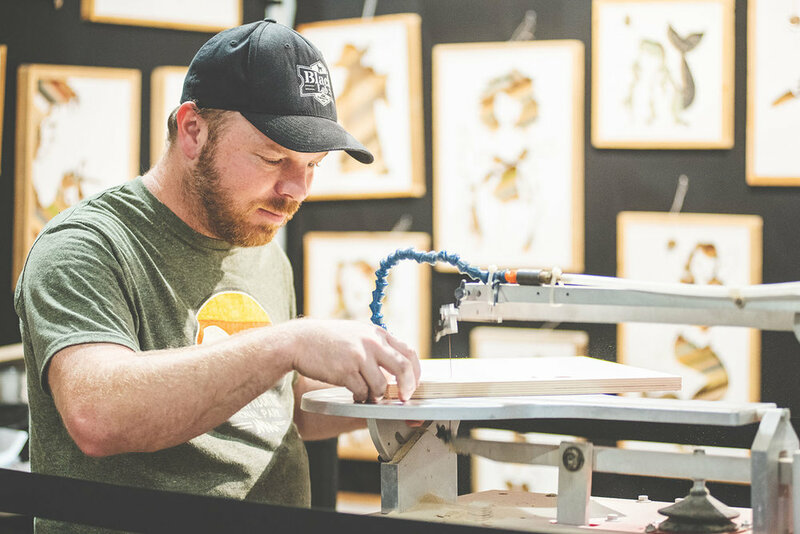 Sugarloaf Craft Festivals carefully selects each artist from hundreds applicants, ensuring you’ll see the most beautiful and original items possible when you walk through the doors. You’ll find amazing things to add to your home décor and start the New Year off right, including custom furniture, fine paintings, pottery, metal sculpture and glasswork. You can also give your personal style a new look with designer clothes, hats, jewelry and other accessories. Stunning craftwork is available for any taste or budget. Many artisans and even master craftspeople are at every Sugarloaf Craft Festival to give demonstrations and workshops. You can see pottery and metal spinning, glass blowing and more in action. There are also a number of specialty food vendors where you can either get a delectable artisan meal or stock up on gourmet goodies. 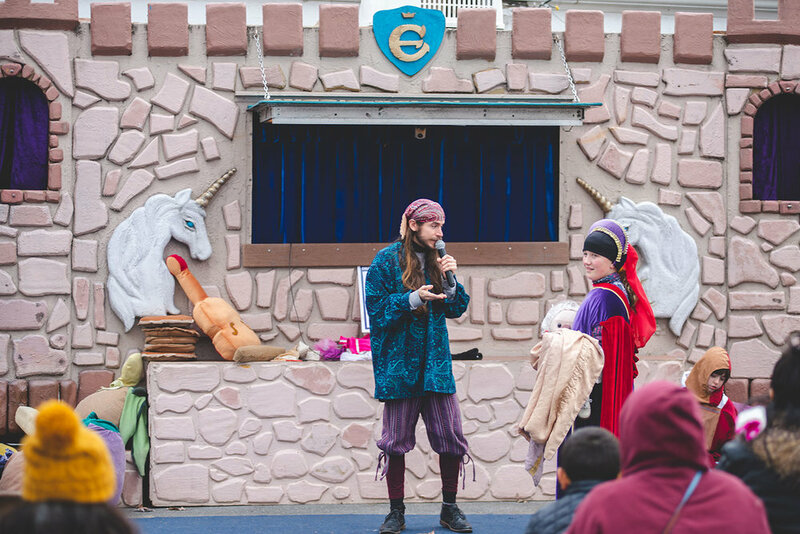 With live music to enjoy and a costume puppet theatre for the kids, the Dulles Expo Center will be home to a festival in every sense of the word. Sugarloaf has been delighting collectors and launching artist’s entrepreneurial careers for more than 40 years, and now is the time to experience the magic. Discount advance and group tickets are available online and are good for all three days. You can also check artist listings, get directions to the festival, or find out how to get the “Sugarloaf rate” at nearby hotels. If you’d like to know more, you can contact us or visit our Frequently Asked Questions. There's something for everyone to love at Sugarloaf Crafts Festival! Lovers of fine crafts and art will find more than 300 top artisans displaying and selling their unique creations in pottery, sculpture, glass, jewelry, fashion, home décor, furniture and home accessories, items for the garden, and photography. In addition to top national artists, the Festival will also introduce new and emerging artists showcasing the latest trends in handmade fashion and accessories, statement jewelry and fine art. 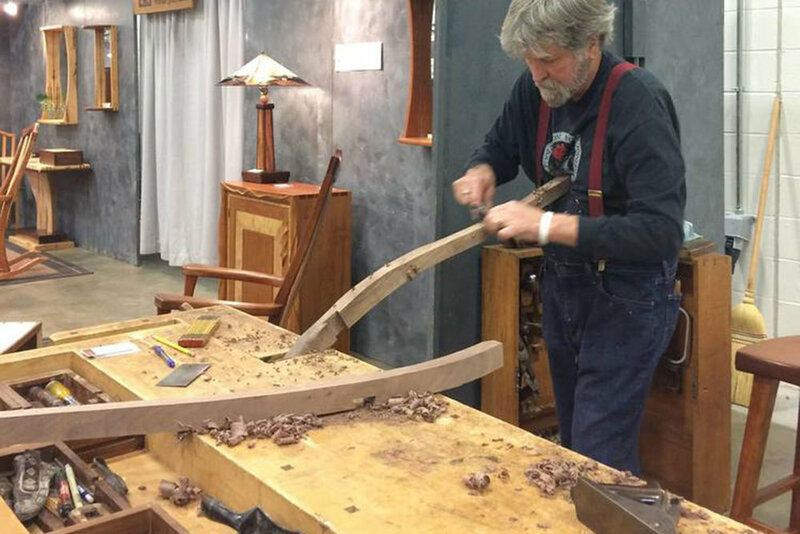 The Sugarloaf Crafts Festival in Chantilly also features interactive demonstrations with master craftspeople. Many of the talented artists at the show will introduce visitors to how they create their art; demonstrations include wheel thrown pottery, wood turning and metal spinning. The show features live music. It’s the perfect accompaniment for browsing and relaxing. Middle Earth’s costume storytelling returns, providing popular children’s entertainment. Dozens of specialty food providers will offer their tasty treats for sampling and purchasing, from the salty and savory to the sweet and succulent. Stock up the pantry, give a delicious housewarming gift, or prepare something special for your family. Enjoy soup and drink mixes, syrups, jellies and jams, candy, freshly baked breads and desserts, and herbs and spices. The show is conveniently located in in Chantilly, VA, near Dulles airport. It’s a short drive from the Northern Virginia suburbs and Washington, DC. Have questions? Contact us or click here to read some Frequently Asked Questions. Take Route 7 East to Route 28 South. Stay on Route 28 South for approximately 8 miles. Take the Willard Road interchange exit. Follow signs to Dulles Expo Center. Sugarloaf Crafts Festival is in the SOUTH HALL. Visiting the show from out of town and looking for a place to stay? Sugarloaf has special rates at Chantilly hotels! Make your reservation early, as rooms available at these special rates are limited. Be sure to request the "Sugarloaf Rate" when making your reservation! Take the Dulles Toll Road, Route 267 West. Take Exit 9A, Route 28 South (Sully Road). Continue on Route 28 South for approximately 6 miles. Take the Willard Road interchange exit. At the top of the ramp turn left onto Willard Road. Take the first or second left off of Willard Road into the Chantilly Shopping Center. Follow signs to Dulles Expo Center. Sugarloaf Crafts Festival is in the SOUTH HALL. From Martinsburg, take I-81 South to Winchester. From Winchester, take Route 50 East to Route 17 split at Paris. From the airport, follow exit signs for Washington D.C. Stay toward the right. Drive for approximately 1 mile and take Route 28 South towards Centerville. Drive for approximately 6 miles South on Route 28. Take the Willard Road interchange exit. At the top of the ramp turn left onto Willard Road. Take the first or second left off of Willard Road into the Chantilly Shopping Center. Follow signs to Dulles Expo Center. Sugarloaf Crafts Festival is in the SOUTH HALL. Take I-270 South to I-495 (Washington D.C. Beltway) toward Virginia. Take Exit 45A, Route 267 West (Dulles Toll Road) for 11 miles. Take Exit 9A, Route 28 South (Sully Road). Continue on Route 28 South for approximately 6 miles. Take the Willard Road interchange exit. At the top of the ramp turn left onto Willard Road. Take the first or second left off of Willard Road into the Chantilly Shopping Center. Follow signs to Dulles Expo Center. Sugarloaf Crafts Festival is in the SOUTH HALL. Take Route 15 South/340 West. At the split, stay on Route 15 South to Route 50 (Gilbert' Corner). Turn left onto Route 50 East. Exit on Route 28 South. Take Route 28 South a short distance. Exit on the right at the Willard Road interchange exit. At the top of the ramp turn left onto Willard Rd. Take the first or second left off of Willard Rd into the Chantilly Shopping Center. Follow signs to Dulles Expo Center. Sugarloaf Crafts Festival is in the SOUTH HALL. Take I-95 South to I-495 (Washington D.C. Beltway) West. Take Exit 45A, Route 267 West (Dulles Toll Road) for 11 miles. Take Exit 9A, Route 28 South (Sully Road). Continue on Route 28 South for approximately 6 miles. Take the Willard Road interchange exit. At the top of the ramp turn left onto Willard Road. Take the first or second left off of Willard Road into the Chantilly Shopping Center. Follow signs to Dulles Expo Center. Sugarloaf Crafts Festival is in the SOUTH HALL. Take Route 29 North to I-66 East. Stay on I-66 for approximately 8 miles. Take exit 53, Route 28 North (Dulles Airport). Drive 3 miles North on Route 28. Take the Willard Road interchange exit. At the top of the ramp turn right onto Willard Road. Take the first or second left off of Willard Rd into Chantilly Shopping Center. Follow signs to Dulles Expo Center. Unique jewelry designs featuring precious & semiprecious stones, fossils, and meteorites. Who is ready for Spring? Pebble Portraits blooms it to life with gorgeous scenes! Mention this ad for 10% off any purchase! A self-taught artist, Todd uses palette knives, sponges, rollers, and brushes to create original, one-of-a-kind pieces that remind you how beautiful simplicity can be! Beautiful designs crafted using using traditional hand-crafted wax carving and modern jewelry design software. Single serve tea bags infused with real honey. Highest quality teas combined with real honey! Warm, comforting flavors and decaffienated options too. Energetic and vibrant colors, and tranquil scenes handpainted on pure silk. Nautical and boating inspired scenes as well on silk! Winner of 86 National Awards, these Southern sauces pack a flavor that only can happen from family recipes being passed down. As usual, Nnamdi Batik Art presents assorted weaves: Jackets, pants, tops, skirts, dresses and accessories. Flags are created by American combat veterans that raise money for them and first-responder charities. Fashionable women’s purses and accessories from vintage barkcloth fabric. buying tickets when you get to the show? print this coupon for $1 off admission! Take a glimpse into the upcoming Sugarloaf Crafts Festival with a preview of some of the best-selling Sugarloaf artists. From sparkling fine jewelry designs to delicate ceramics to fine art photography, and everything in-between. You’ll find stunning examples of Sugarloaf exhibitor work here, perfect to help you plan your trip! Looking for a specific artist? Search or browse Spring Chantilly Artists, or contact us with any questions. Step into the studio! Take a free painting class at Sugarloaf’s Chantilly Festival. Learn from Sugarloaf artist Kathy Small in this fun free workshop. Create your own masterpiece to take home. Space is limited. Sign up at the shows! Handmade glass beads, jewelry and more! Every lamp has a story.